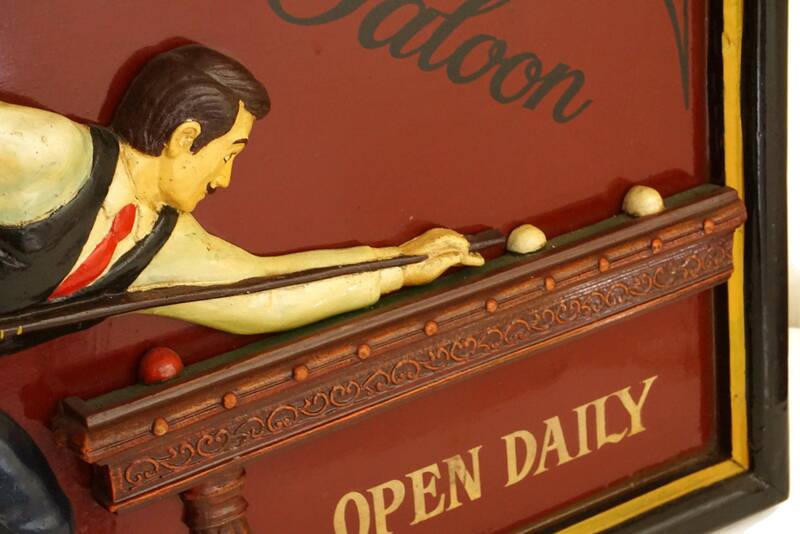 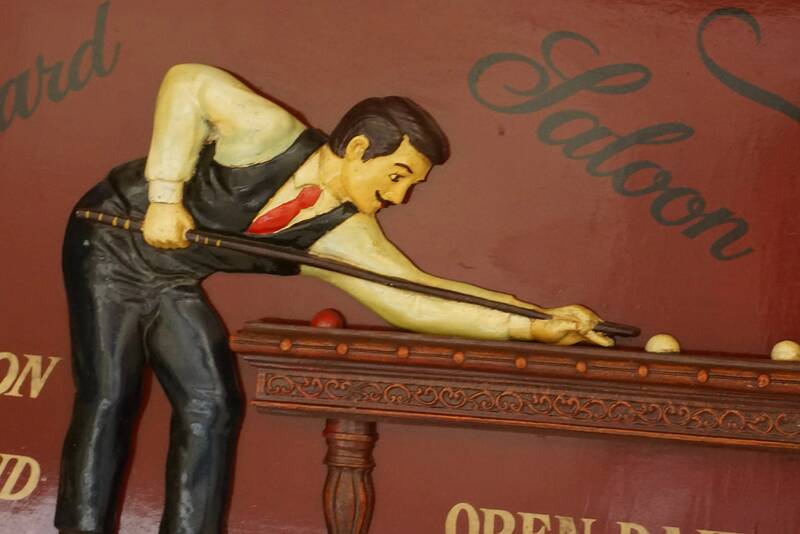 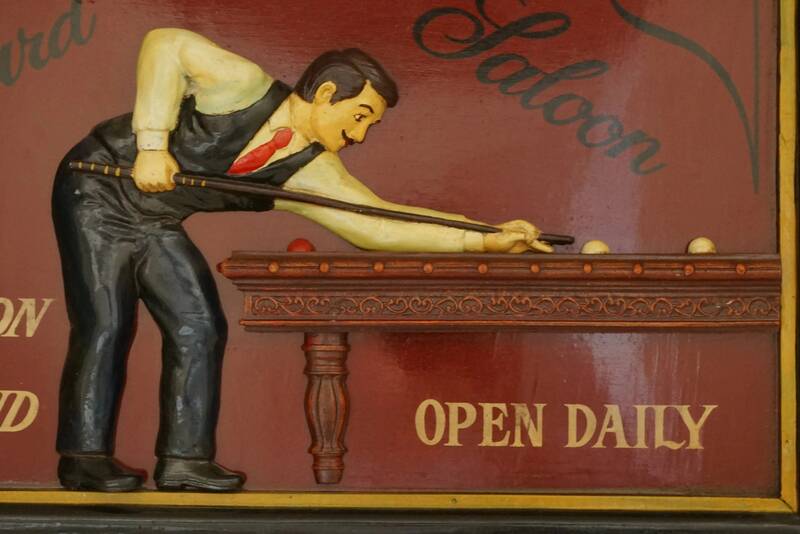 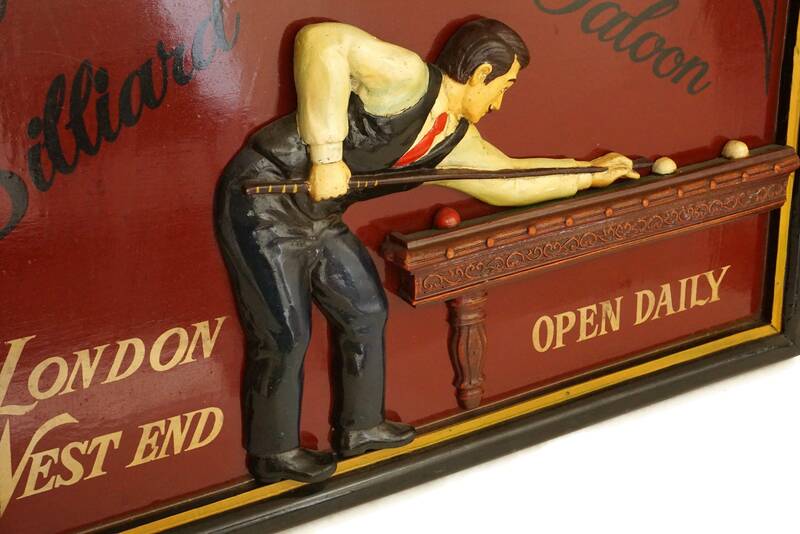 A stylish vintage billiard table bar wall hanging sign that has been inspired by an antique saloon pool room board. 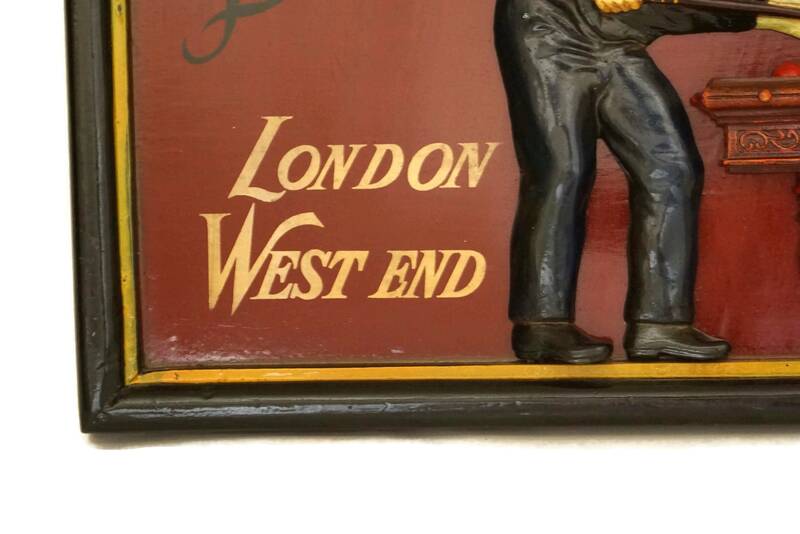 It is a large size and has been manufactured from wood and resin. 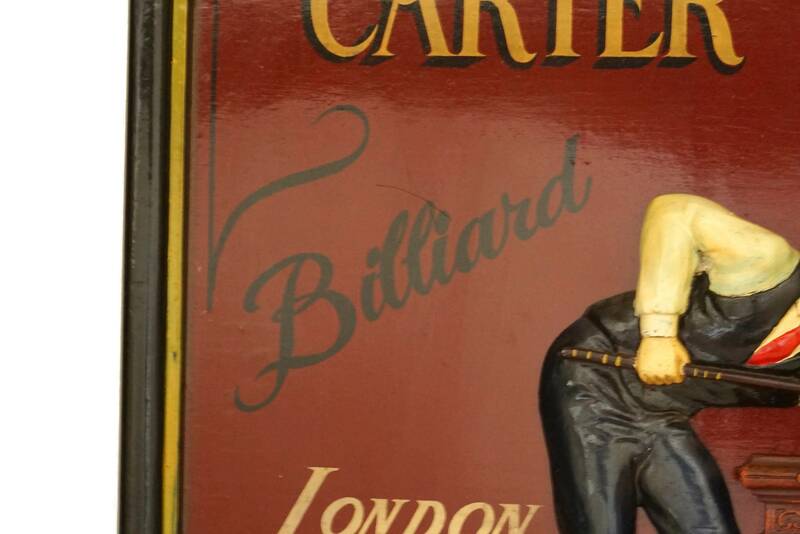 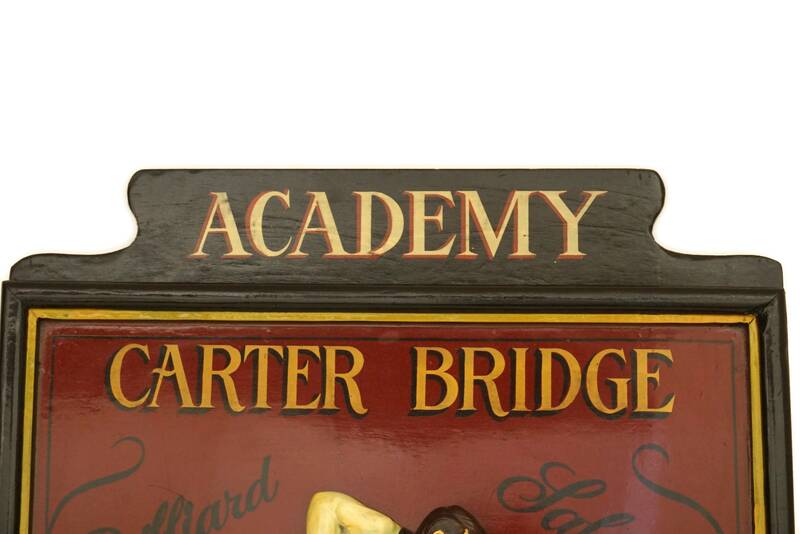 It features a charming figure of a man playing a game of French billiards. 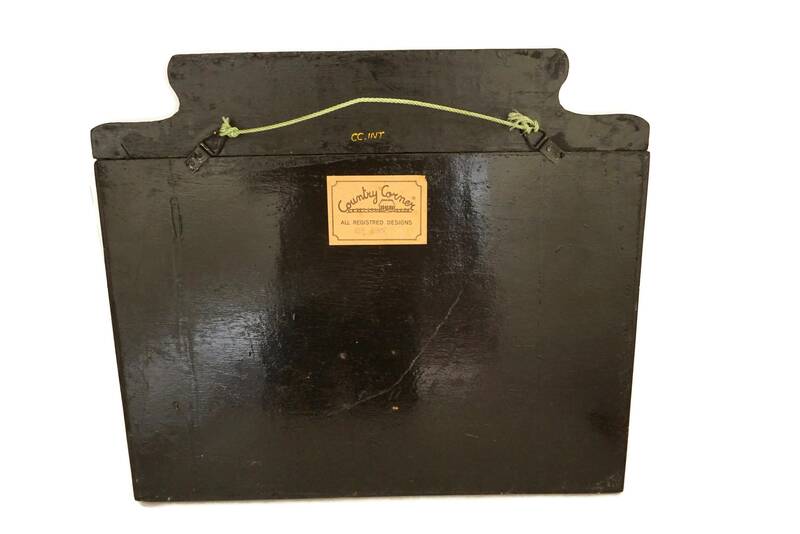 (58 cm x 50 cm). 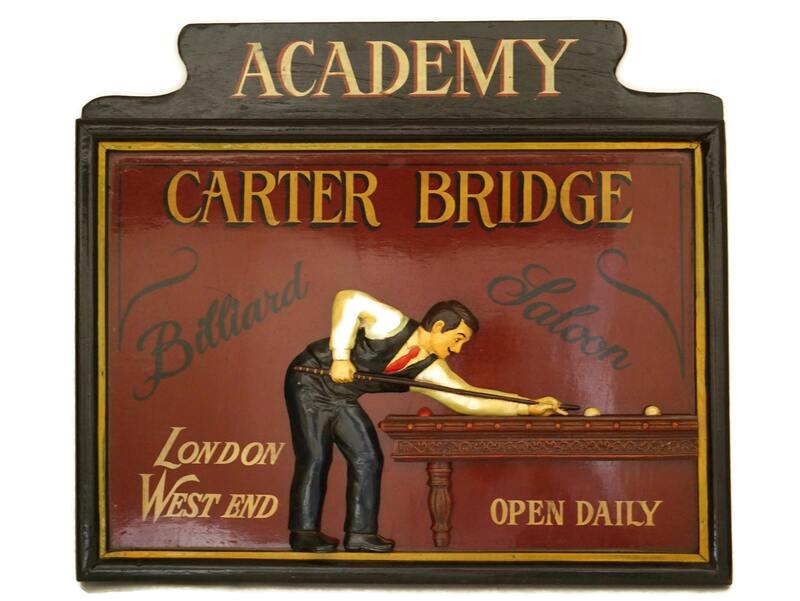 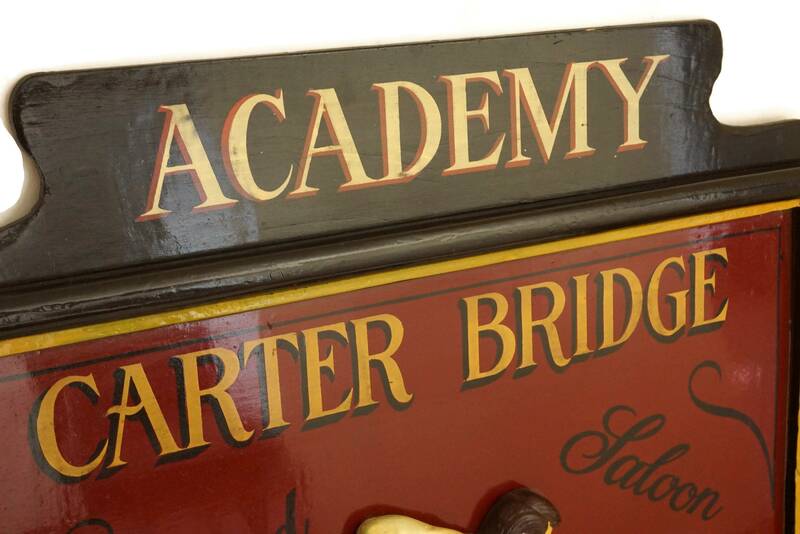 The games room wall sign is in very good condition with some light signs of age including small surface marks and tiny flakes to the paint in places.